In Part 3 of the interview we spoke about being sick in Morocco, 36 disciples around the pool, Ted Neeley and the fascination with Jesus. Despite being sick Stephen did manage to shoot all his scenes. “I have never missed a day in my life”, he adds. 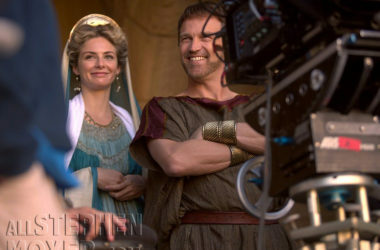 Stephen was in Morocco in October this year to film National Geographic’s “Killing Jesus” based on the book by Bill O’Reilly. 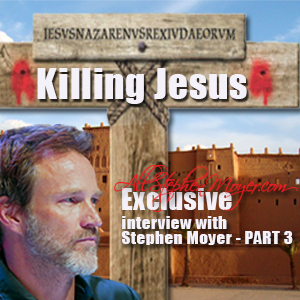 “Killing Jesus” details the events leading up to the murder of the most influential man in history: Jesus of Nazareth. The film is scheduled for release in 2015 in 171 countries. Being a Jesus Christ Superstar fan myself I tell him that Ted Neeley, who played Jesus in the famous 1970’s film, will perform the show in my Italian hometown in a couple of weeks and I have front row tickets. To my surprise Steve has an almost connection with Neeley. Will Stephen do another musical? Stephen didn’t accept Bousman’s offer, but can we expect another musical for him in the future? With so many films about Jesus coming out, what does ‘Killing Jesus’ have that the others don’t? We all know how the story ends and it doesn’t end well. 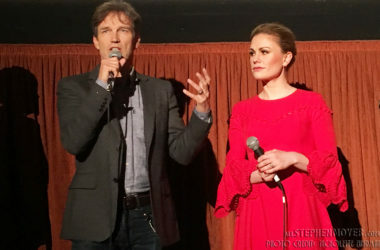 “It’s interesting that there is still this need to keep telling the story”, Stephen says. “I am not a particularly religious man and most of us who aren’t, most atheists and agnostics, tend to be quite fascinated by Jesus. It’s interesting isn’t it? I don’t know why that is. 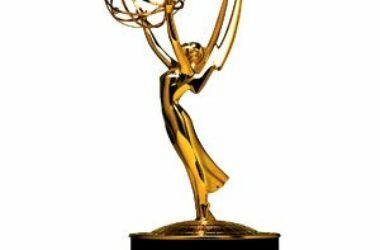 Denis [O’Hare] is a great example of that actually. He is very, very not religious but he is currently writing a play about the bible. ‘Killing Jesus’ doesn’t have much spirituality in it. ‘A.D. :Beyond The Bible’ tells the story of Jesus after he dies, so it’s about the disciples that are left and how the story gets passed around and the other one ‘The Jesus Code’ was a docu drama about how they became the people that they were. So they all have interesting stuff to say”, Stephen concludes. 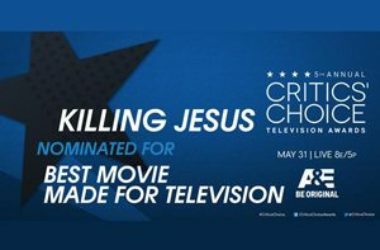 “Killing Jesus” DVD/Blu-Ray released today! Thank you for another great installment. Glad Stephen is feeling better now and appreciated the insight about Killing Jesus, which keeps sounding better and better. He is so interesting, and it’s a joy to read his interviews. 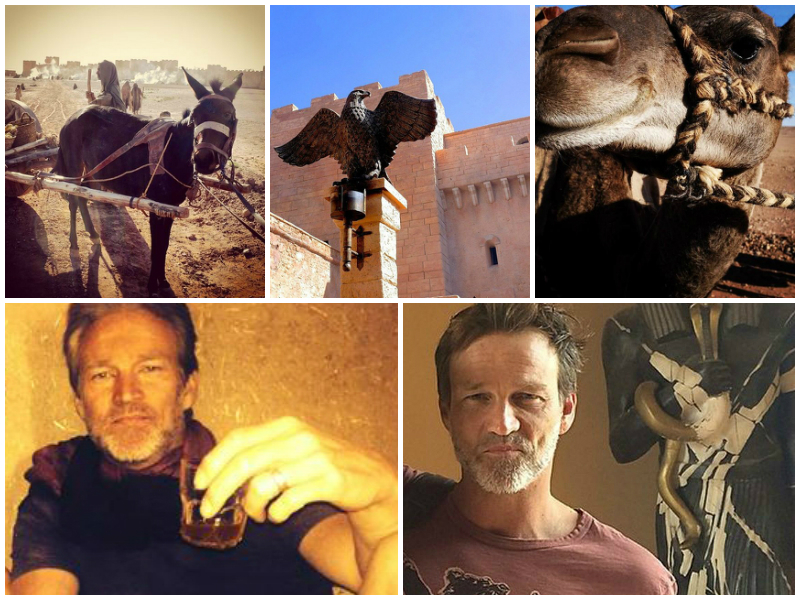 Sorry Stephen was ill while filming in Morocco. He is a trooper and the show must go on as they say. I agree it is fascinating how many people of various faiths and belief systems continue to be drawn to the story of Jesus. I look forward to seeing Stephen in this project next year. I just ran across Devil’s Carnival on Netflix. I will take a look at it to get an idea what it is about. 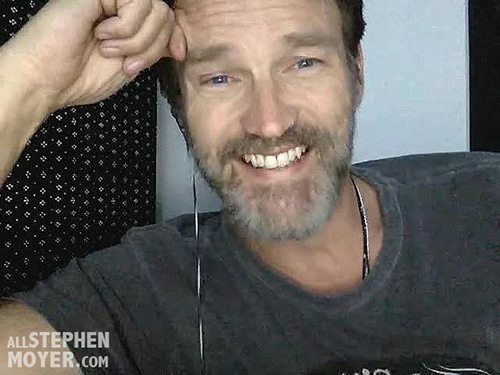 I want to see Stephen in guest appearances or extended guest roles on some shows , musicals , films ,anything that keeps him on screen regularly. Do you hear that Stephen? Great job Shad. More please. Another fascinating interview. Sorry to read that Stephen was so sick. 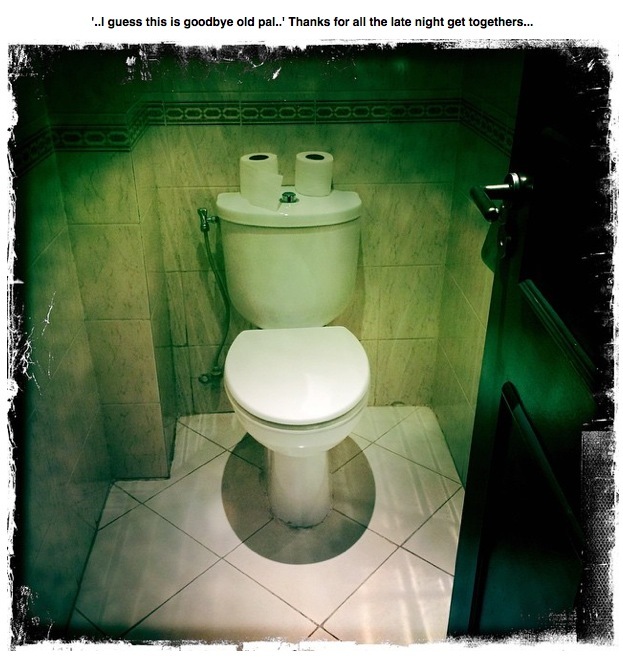 I kind of figured that’s what had happened when I saw the toilet pic with caption. Got a kick out of all the disciples hanging out around the pool. I would love to see Stephen do a musical. I hope the right vehicle comes along. I always enjoy his candor and his humor. Very thoughtful interview. Stephen does not take any questions for granted or shy away from controversy. Always love his sense of humor. Enjoyed this instalment as well and looking forward to the next. It’s like the 12 days of Christmas An interview gift every day! Poor Stephen, being sick for 6 days is a lot, especially when you aren’t in the comfort of your own home. Love Jesus Christ Superstar, and I got to see Ted Neeley in it when the musical toured here a couple of years ago. He sounded amazing. I was so surprised that after all these years he still sounded so good. I know you will love it. Can’t wait to see Stephen in Killing Jesus. Thank you for the inteviews, I wish we could see them in video! love_lillia it’s interesting to see those connections, I mention Ted Neeley and Stephen was offered a role along side him in a project. Six degrees of separation! Rowena75 Thanks Row, I agree another musical would be nice, but right now he has a lot of projects in development for CASM. I talk about that in part 4 (last part) of the interview. Willkill4Bill I followed Darren Bousman for a while after The Barrens, he produced his own DVD some time ago and a new film of Devil’s Carnival is coming out in 2015 and Ted Neeley is in that one. It’s like an ongoing projects, it seems. Great article and interview! Learned alot. Thanks so much for the share! !